A Cinnamon Ice Cream & Dr. Pepper Frosted with Salted Caramel Sauce was not my original plan for this post. This is where the Loon comes in. I was going to make my favorite kind of ice cream: Cinnamon. I had decided to add in homemade caramel sauce and Heath bar chunks. After it had firm up nicely in the freezer, the Loon decides he wants to try something. 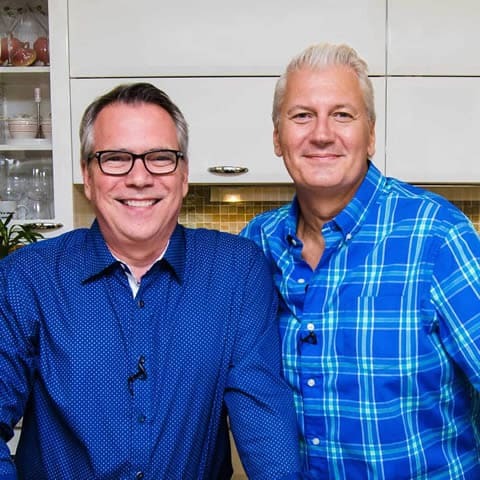 He adds two big scoops to a large frosty ice cream mug, then pours in about a half a can of Dr. Pepper, and stirs vigorously…turning it into a ‘frosted.’ I was not sure…but once we tried it…it was through the roof delicious. 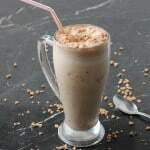 So, here it is: your favorite cinnamon ice cream & Dr. Pepper frosted with salted caramel! This Cinnamon Ice Cream & Dr. Pepper Frosted with Salted Caramel happened by accident. We made the cinnamon ice cream, and the added the salted caramel sauce, some Heath bar chunks. But the Loon could just stop there, her mixed in a Dr. Pepper to make the best frosted you'll ever taste! Over medium heat, in a medium-sized skillet, combine the milk and the sugar. Add in the cinnamon sticks, the innards of the vanilla bean, and the bean pod, too. Stir mixture to heat, but do not bring to a boil. Meanwhile, add the egg yolks to a medium-sized bowl and whisk vigorously for about 2 to 3 minutes. The yolks will become a little lighter in color. 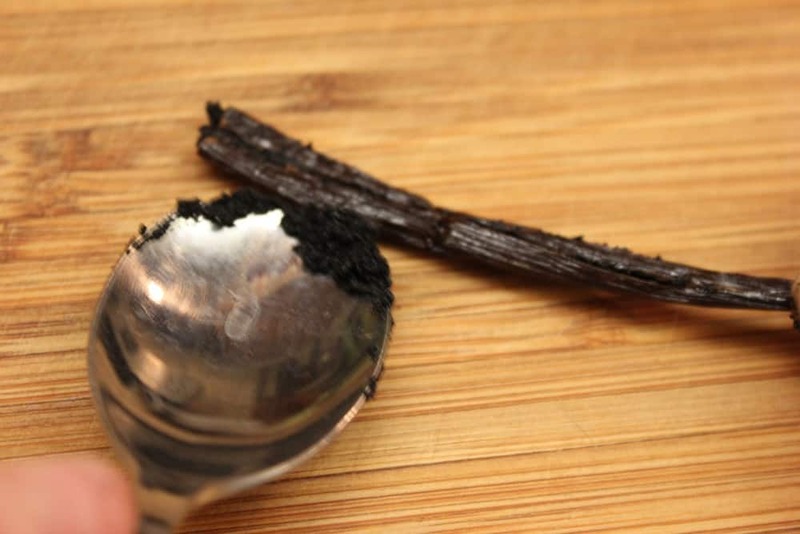 Remove and discard the cinnamon sticks and vanilla bean pod from the saucepan. 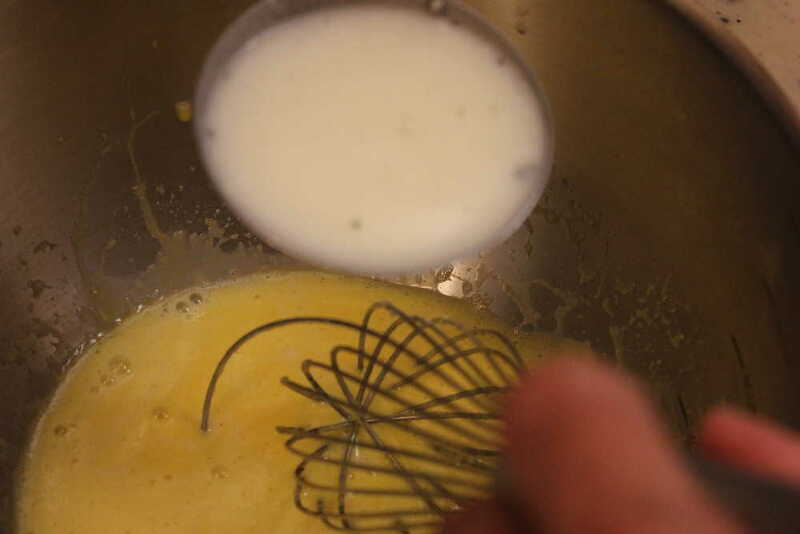 Slowly ladle the warm milk mixture into the yolks, whisking constantly to temper the egg yolks. Once is fully mixed in, cook for about 2 minutes. Strain the mixture into a large bowl. 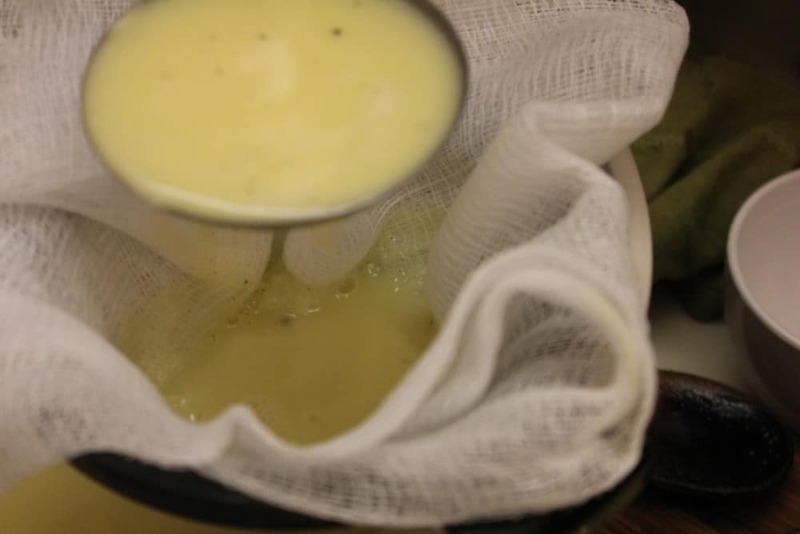 (I like using cheesecloth to strain, but not absolutely necessary...any kind of fine mesh strainer works just fine). Add the heavy cream and ground cinnamon to the custard in the bowl. Stir to combine. Chill the mixture in the fridge for about an hour. Pour into your ice cream maker and process according to your machine's directions. 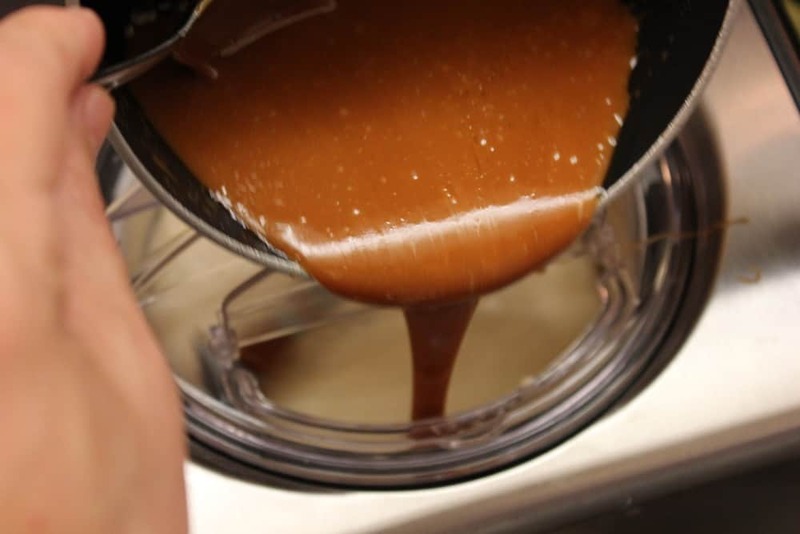 While it's churning, make the salted caramel sauce. Let cool slightly. In the final stage of the churning, add the salted caramel sauce and toffee crunches. Pour the ice cream into an airtight container and place in the fridge, for at least 2 hours, preferably over night. Once the ice cream is frozen, add to a large ice cream frosted mug. Pour about half of the can of Dr. Pepper over the ice cream (or until almost full). Gently mix with a large spoon. 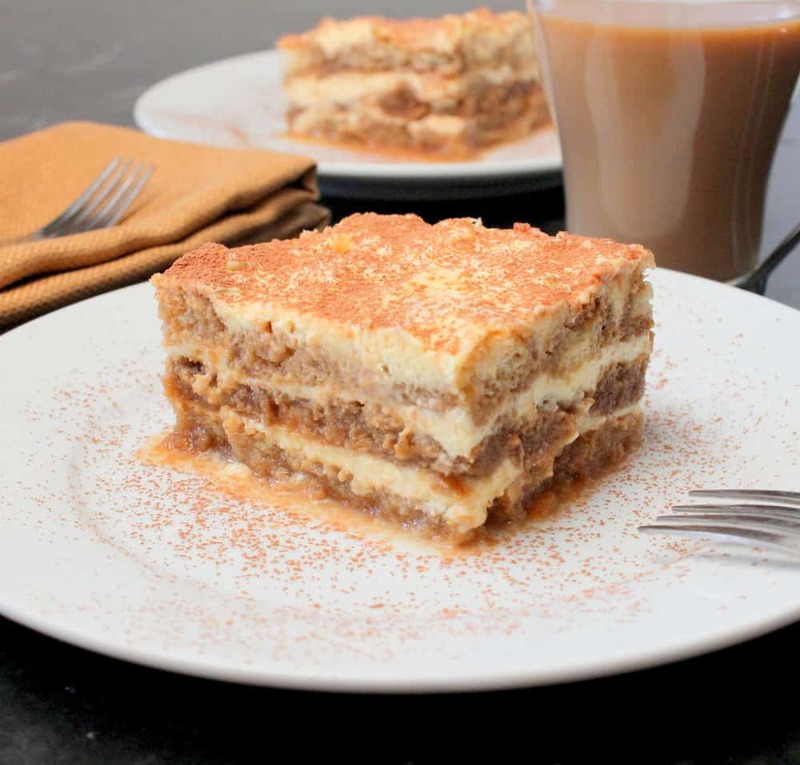 Serve with sipping straw and long spoon.